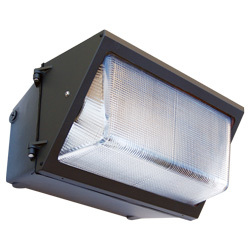 The VEX-EL90's attractive, low-profile design allows for mounting above doors and restricted spaces. 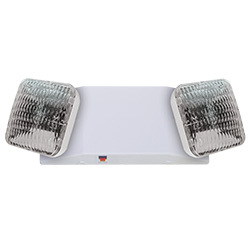 The EL90 offers full 180° lamp rotation to fit any application. 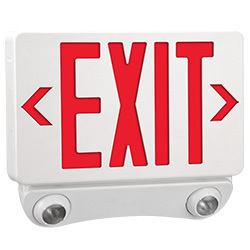 The Tempo Pro Series LED exit combo sign provides a more complete, compact, powerful light offering with a higher performance than most currently on the market. 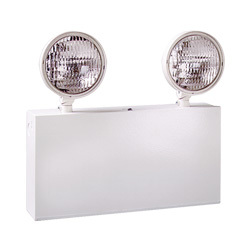 The Triton Series remote lamp head is ideal for applications where low-profile, architectural emergency egress lighting is required. 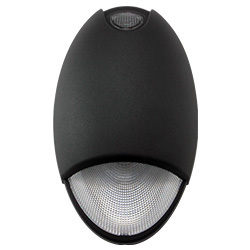 Contemporary design and durable die-cast aluminum construction provide attractive, reliable remote lighting that blends seamlessly into any exterior or interior design. 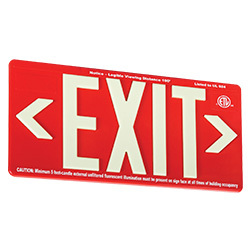 Perfect for damp, wet, or cold environments. 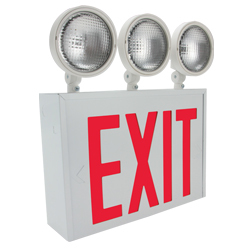 The RP Series emergency lighting unit provides a proven, reliable source of egress lighting housed in a classically designed package. Available in a wide variety of battery wattages, the RP incorporates high-performance electronics in an attractive, impact-resistant thermoplastic housing. 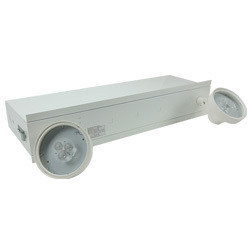 The RDG Series emergency luminaire has been designed to be fully recessed and blend in with the surrounding environment. The gimbal assembly is constructed of corrosion- and flame-resistant, lightweight aluminum. All of the RDG's electronics are completely self-contained within the housing allowing for easy handling and effortless installation. 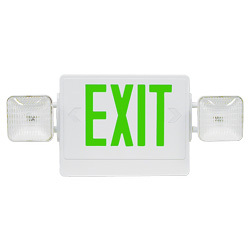 The LRX emergency light is suitable for Wet Location areas. It is ideal for locations where water, non-hazardous dust and corrosive atmospheres are present. The LL90 Series combines a low-profile, contemporary appearance with economy and dependability. Fully adjustable designer heads complement any environment. 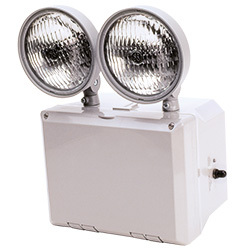 The LL80 IP65 Wet Location emergency unit offers exceptional performance by utilizing fluorescent technology combined with a metalized reflector to maximize light distribution. 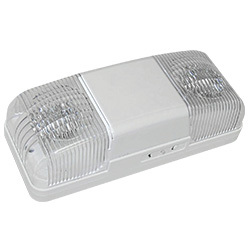 Ideal for indoor or outdoor applications where traditional emergency units would be vulnerable to contact with water. 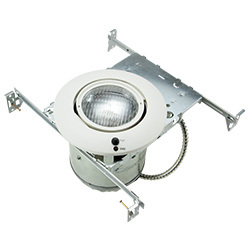 The LL80 operates at 75% when in emergency mode, translating into greater energy efficiency, increased fixture spacing and lower installation costs. The LL30 offers a low-profile, contemporary design that has been engineered with versatility, durability and architectural appeal in mind. Damp Location protection is provided with every unit. 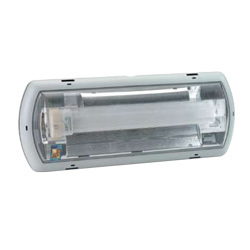 The LL30's clear, polycarbonate lens cover is designed to enclose and protect the lamp from unwanted tampering and repositioning. 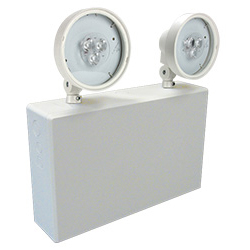 The recessed T-bar CR Series combines performance and dependability into a rugged 20 gauge steel enclosure. Designed specifically for T-bar type ceiling grid systems, this recessed installation provides a clean, architectural appearance.